John Milton is regarded as the greatest English poet after Shakespeare. Yet for sublimity and philosophical grandeur, Milton stands almost alone in world literature. His peers are Homer, Virgil, Dante, Wordsworth, and Goethe: poets who achieve a total ethical and spiritual vision of the world. In this panoramic interpretation, the distinguished Milton scholar Gordon Teskey shows how the poet's changing commitments are subordinated to an aesthetic that joins beauty to truth and value to ethics. The art of poetry is rediscovered by Milton as a way of thinking in the world as it is, and for the world as it can be. 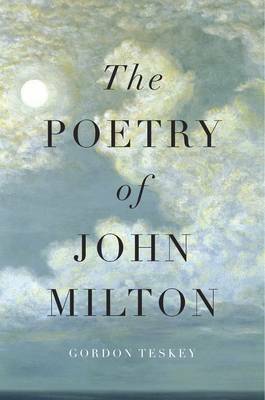 Milton's early poems include the heroic Nativity Ode; the seductive paired poems "L'Allegro" and "Il Penseroso"; the mythological pageant Comus, with its comically diabolical enchanter and its serious debate on the human use of nature; and "Lycidas," perhaps the greatest short poem in English and a prophecy of vast human displacements in the modern world. Teskey follows Milton's creative development in three phases, from the idealistic transcendence of the poems written in his twenties to the political engagement of the gritty, hard-hitting poems of his middle years. The third phase is that of "transcendental engagement," in the heaven-storming epic Paradise Lost, and the great works that followed it: the intense intellectual debate Paradise Regained, and the tragedy Samson Agonistes.